BF: As a new Prime Minister in the region, what are some of the major areas of focus for your Government to take St. Kitts and Nevis further forward during your first term in office? Implementation of policies to boost growth and competitiveness which would help in ensuring long term macroeconomic stability. This would include investing in alternative energy sources which will drastically reduce energy and production costs. Empowerment of the citizens of the Federation by making cost of living more affordable. Fostering an environment that would promote job creation in the private sector. Broadening on investment in other sub sectors of tourism. BF: St. Kitts and Nevis has been the recipient of a number of accolades including the island with the most progressive economy and the highest levels of Foreign Direct Investment. How do you propose to sustain this? Improve logistical arrangements (transportation, travel and communication) between St. Kitts and Nevis and our trading partners. 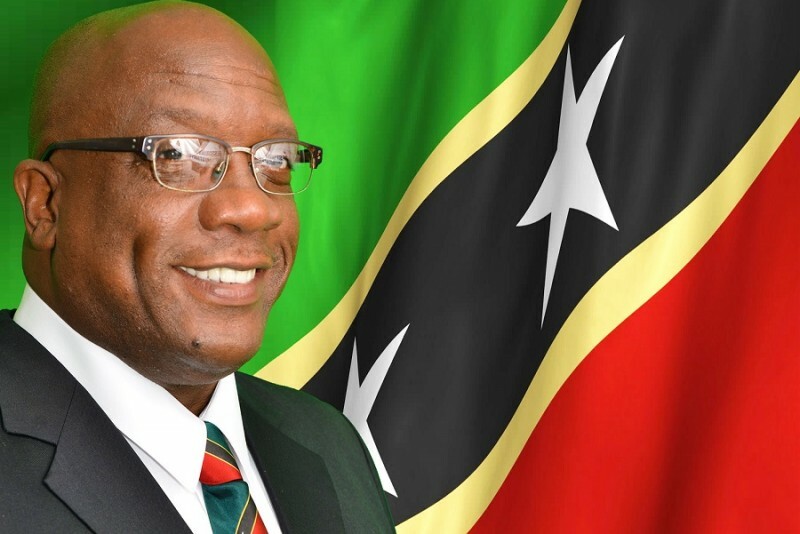 BF: The St. Kitts and Nevis Citizenship by Investment Programme has been a resounding success story and financial windfall for your twin island state. This programme is now being emulated and aggressively marketed by a number of other OECS States with another totally against it plus the ABC Countries are expressing concerns about this initiative and responding with the implementation of Visa regimes against countries. The St. Kitts and Nevis Citizenship by Investment Programme having been in existence since 1984 is one of the longest well-established programmes in the world. My Administration had some concerns with the way the Programme had been administered in recent times and for that reason my Government is in the process of implementing some reform measures that will recalibrate and reform the programme, preserve its integrity and ensure its long term sustainability. What is the projected $$ contribution to budgeted revenue? For the 2015 fiscal year, we have estimated that the CBI Programme will contribute EC$200m to the Government’s revenue. In the circumstances are you confident that you will achieve your 2015 budgeted target? I am quite confident that with the implementation of the reforms that I just mentioned coupled with the exploration of new markets, our programme will continue to reap benefits to the country and will actually surpass our target for this year. Is this Programme sustainable for the long term? It is my view that the reform measures that we are in the process of implementing will redound to the benefit of the country and will preserve the gains that were previously derived. What are some of the positives and negatives with this programme? The Programme has been quite beneficial to the country in that it was able to stimulate growth in our economy at a time when most countries were struggling to recover from the global economic recession. As a result of the Programme there have been increased developments in areas such as tourism related construction such as hotels and condominium/villa projects. The Programme also provided the Government with adequate funds to undertake critical infrastructural projects. All of these projects created job opportunities for our citizens and support local businesses in the Federation. Unfortunately, the Programme has drawn some negative publicity from the international community but as I said, we are in the process of implementing some necessary reforms that will improve the quality of the Programme. BF: The OECS has been actively promoting OECS Single Market and Economy including Free Movement. What are your thoughts on this and the integration process with the wider region? The region has to build capacity in terms of knowledge, skills, attitude and capabilities of its population in order to stimulate innovation, invention, ideas and entrepreneurship. I support the implementation of policies that will advance the region in good governance, trade, health care, education and enterprise. I would also champion new solutions through research to identify actions needed to build and transform a sustainable future for OECS Single Market and Economy. BF: OECS Countries are generally tourism based economies with most of them experiencing difficult economic times. Can you expand on the St. Kitts and Nevis approach which has generated such success and how this can be applied across the region? Tourism is one of the pillars of our economy with its contribution to Real GDP being estimated at approximately 6% while gross receipts from visitors in 2014 is estimated at 20% of GDP. We actively sought to transform our economy to a tourist and business environment by strategically marketing the Federation through regular promotions and buying media rights. The Government subsequently changed its focus to high-end tourism instead of targeting mass tourism. This strategy has translated into greater spending by the tourists. Additionally, we have explored developments in potential growth areas such as sports tourism. As recently as June/July of this year, we hosted a series of cricket matches for the Caribbean Premier League (CPL) which ended on 11th July 2015. Based on the assessment undertaken, St. Kitts and Nevis was viewed by 220 million households worldwide. While many of the countries in the region have a number of similarities, each of us is unique in our own way. Countries across the region would do well to identify and exploit areas of potential growth in their economies. BF: Inter-island travel has been a significant market which has been showing consistent decline for almost all OECS States primarily due to LIAT’s high air fares. What are your thoughts on reversing this trend and the long term approach to the ownership of LIAT? Although fuel costs have been a significant contributor to higher air fares, we need to be innovative and supportive of our own regional air carrier. In the long term it may be useful for member partners to consider the feasibility of having a public private partnership in the operation of LIAT. BF: The Caribbean Court of Justice has been established for many years with the serving Chief Justice being a national of St. Kitts and Nevis. Shockingly, to date only a few countries in the region have signed off with the CCJ. What are your thoughts on the CCJ and why has St. Kitts and Nevis not accepted the CCJ as its final Court of Appeal? I am aware that St. Kitts and Nevis has not yet accepted the CCJ as its final Court of Appeal and we are indeed very proud that one of our nationals is serving as the Chief Justice. However, although we have not yet taken the necessary steps to make the CCJ our final Court of Appeal, that matter will be considered by my Administration during our tenure in office. BF: Small and Medium Enterprises (SMEs) are a large component of our private sector. What programmes and initiatives have been established to grow this sector and facilitate and increase entrepreneurship especially among the youth? My Government acknowledges that Small and Medium Enterprises are pivotal to the development of the private sector. There are in place a number of initiatives to further assist with the development and growth of small businesses. The National Entrepreneurial Development Division assists SMEs with the development of their business proposals. Such entities can also apply for tax concessions under the Small Business Development Act in order to get some relief on their start-up capital expenses. In relation to funding, this can be obtained through the Development Bank of St. Kitts and Nevis. Additionally, in recent times the Sugar Industry Diversification Foundation has implemented a program called Small Entrepreneur and Enterprise Development (SEED) where they small loans are granted to SMEs at concessionary rates. BF: Unemployment among our young people is a growing regional concern. What are some of the initiatives being taken to address this problem in St. Kitts and Nevis? St. Kitts and Nevis has a short term employment program called the People Employment Program (PEP) which seeks to train the program participants in the requisite human resource capabilities and entrepreneurial skills that will facilitate their smooth integration into the workforce. My Administration is in the process of reviewing the program with a view to ensuring that individuals have the requisite skills and opportunities to become self employed or are placed in permanent positions in the private sector. BF: A recent survey conducted by the UWI confirmed that the Caribbean is the region with the lowest penetration rate of its population continuing on to tertiary studies. Increasingly we see vacancies being posted requesting a University education. How has St. Kitts and Nevis approached helping more of its people (particularly its young people) to access University education? Human capital is essential for businesses and countries to grow and achieve their goals. In realizing this, my Government intends to support students that meet the requisite criteria by devising a plan that will underwrite university costs for young people lacking collateral to attain student loans. Additionally, the Government has partnered with several universities, including the University of the West Indies, the University of the Virgin Islands and Monroe College, where we provide financial assistance to students who have been accepted to those institutions. The Government also encourages the young people to take advantage of the various scholarships that are offered by friendly Governments. BF: The high cost of energy is a major problem in the region. There is a new move towards Alternative and Clean Energy. St. Kitts and Nevis have great potential with geothermal energy through the volcano on Nevis which I believe is currently being explored. Can you expand on the progress with exploration and the potential opportunity? Quite a bit of work has been undertaken in regard to geothermal energy particularly with respect to utilizing the resources on the island of Nevis. The Federal Government is working very closely with the Nevis Island Administration on this matter and is at the point where we are seeking to determine the best solution for financing the initiative without causing too much of a financial burden to either the Federal Government or the NIA. BF: Climate Change is also a major factor affecting our region. Guyana has benefitted from a multi-million US$ financial injection from Norway through an agreement with that country where Norway provides funds annually to Guyana for protecting its forest reserves and sustainable management and harvesting of its timber reserves. Do you see this as a real opportunity for the very vulnerable OECS region and if so what approaches can be suggested to generate income and other tangible benefits from the first world and developed countries who are identified as the originators and perpetrators of the Climate Change issues? Working together to help to minimize the effects of climate change is important. Our Development Partners are bringing to the fore the range of opportunities available to the OECS that could possibly assist us in benefitting from the existing initiatives in this regard. We intend, as a region, to position ourselves to be able to access funds that are available and to implement policies that would help us to build resilience and combat issues related to climate change. BF: Our Women have been evolving rapidly in all sectors except politics. Why have they not been able to make more progress as viable political candidates? Do you support changing the Constitution to ensure an increased and guaranteed number of women in the corridors of political powers? Unfortunately, changing the constitution would not guarantee that women would enter the political arena. Because of the small population, it may be impractical to stipulate that a certain number of women should be included in politics. We can, however, encourage them to come forward and play a critical role in shaping the development path and challenge the status quo. BF: Our Diaspora Community is a rich pool of financial and human resources with the primary benefit being shown through the annual remittance figures. They are passionate about the region and particularly their home country and have a lot more to offer. What are your thoughts on engaging the Diaspora for the benefit of St. Kitts and Nevis and the wider region? The Diaspora Community is important to us not only for their monetary contribution but also their ideas and perspectives in helping to move the country forward. We regularly meet with our citizens living abroad and engage them in idea sharing. Some have also contributed to the development of the country by returning home and providing their expertise and investing in business.